What Is the Pastors College? The Sovereign Grace Pastors College is based in Louisville, Kentucky, led by Jeff Purswell, Director of Theology and Training for Sovereign Grace Churches. It is a ten-month, academically intense program with a very specific purpose: We exist to train pastors. More specifically, we exist to train pastors whose lives and families and churches are built upon the gospel of Jesus Christ. Our graduates are equipped to serve and to lead churches that proclaim the gospel and demonstrate its reality through transformed lives and vibrant witness. Our program can be best summed up by the Scripture verse we include on our diplomas: “Watch your life and doctrine closely. Persevere in them, because if you do, you will save both yourself and your hearers.” (1 Timothy 4:16). The academic curriculum is rigorous, but necessarily so, because the very foundation of pastoral ministry is the abiding truth of God’s Word. Pastors must be skilled in the teaching and application of Scripture, faithfully bringing it to bear upon their lives and the churches they serve. Without the faithful wielding of God’s Word, there will ultimately be no faithful or effective pastoral ministry. In addition, New Testament Greek is three mornings a week, which amounts to a year’s worth of seminary-level Greek. The teaching faculty includes Jeff Purswell, C.J. Mahaney, and other Sovereign Grace Pastors. A number of our courses are taught by noted scholars and instructors such as D.A. Carson, Doug Moo, Michael Haykin, Iain Duguid, Sam Storms, John Woodbridge, Stephen Nichols, Ray Van Neste, Stephen Wellum, and Mike Bullmore. Since pastors are called to be examples to the people they serve, our program is also designed to cultivate godly character. To help students “watch their lives,” there are weekly fellowship groups where they care for, encourage, and pray for each other. Wives receive specialized training to equip them to serve alongside their husbands. Couples spend the year in varied and intentional contexts to help them grow as disciples, as married couples, and as parents. Finally, they experience all of this with an intimate connection to the local church at Sovereign Grace Church of Louisville—which is of critical importance. Their training takes specific account of the local church precisely because students are being equipped to serve in a local church context. What Does the Program Essentially Accomplish? Perhaps the greatest benefit of the program comes through the cumulative effect gained by a combination of academic training, character development, and practical training, all done in the context of a working model of a local church. This context helps ensure that the classroom training doesn’t merely deliver information, but rather trains men through the lens of pastoral ministry. Our goal is to equip pastors to do “theological ministry.” In other words, we seek to ground all pastoral methodology upon biblical and theological convictions at the center of which is the gospel of Jesus Christ. Because we desire our theological training to be informed by our ecclesiology, the local church plays an important role both in the identification of our students as well as in their deployment. Our students are typically men who are sent to the college from Sovereign Grace churches—men who have been proven in character and gifting, with some external confirmation of their internal sense of call. Most of our students will return to their home churches to serve more intensively in ministry, while others are preparing for church plants or service in other churches. Although our desire would be to serve whomever would like to come to the college, at present our limited resources require that we focus primarily on men from our family of churches. Is the Pastors College Only for Full-Time Students? Our primary program is the full-time course for men training for pastoral ministry or church planting. However, all Pastors College classes are open to Sovereign Grace pastors and their guests, and each year we add new courses designed to serve our pastors in their ongoing training. In addition, the Pastors College sponsors other events to equip our pastors, such as focused mini-conferences (counseling, evangelism, administration) and preaching labs for our pastors. Distance learning options for those unable to attend the college are forthcoming. It is our prayer that, by the grace of God and for his glory, the cumulative effect of these various components will equip our students to be godly, skilled, and faithful shepherds who serve, teach, lead, and care “for the church of God, which he obtained with his own blood” (Acts 20:28). Since 1997, we have graduated 263 students. These graduates are ministering in 11 nations. In our association of churches, 19 of our 67 churches were planted by Pastors College graduates. 36 of our churches have a Pastors College graduate as their senior pastor. 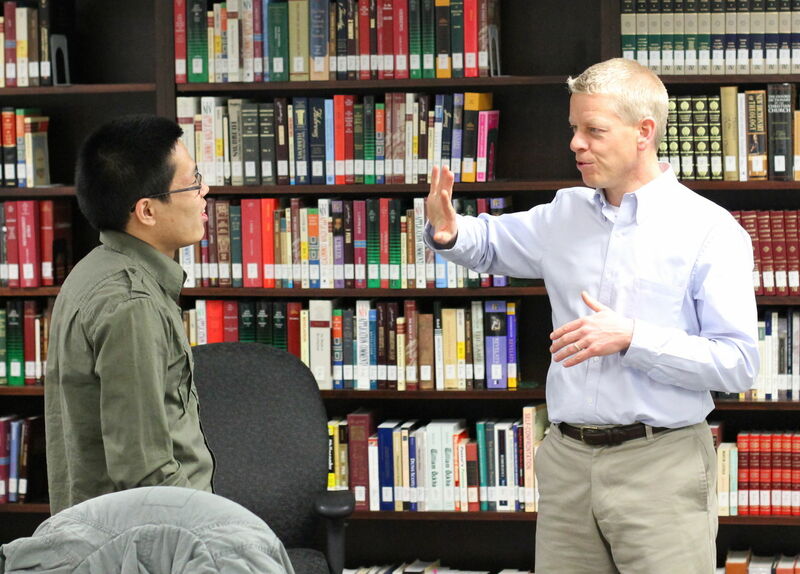 Students apply and attend upon the commendation of their pastors, usually after a period of observation, training, and effective ministry in the local church. If you are not currently a part of a Sovereign Grace church, we would welcome you to first explore Sovereign Grace Churches. If you are interested in church planting with Sovereign Grace, please contact our Church Planting Group. If you would like to speak with someone about pastoral ministry in Sovereign Grace, the first step is to contact the appropriate Regional Leader for your geographic location. If you would like additional information about the Pastors College, please contact us. Snapshots of Pastors College Graduates: Bruce Chick & Rich Richardson. Articles highlighting past classes, instructors, and students. Information regarding our annual Pastors Conference.